Genuine OEM Lexmark Toner Cartridge, Black, High Capacity 17,600 page yield. 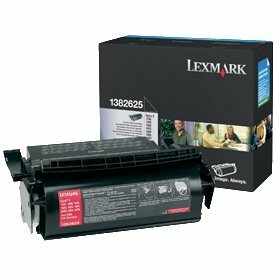 Lexmark part number: 1382925, 1382625. Laser Toner Cartridge compatible with Lexmark Optra S 1250, 1255, 1620, 1625, 1650, 1855, 2420, 2450, 2455.